Every day, families turn to local food banks to help meet their unmet food needs. Following the partial federal government shutdown, more people are in need of food this February. With the large influx of demand, many food banks are struggling to keep up with the growing need for resources. Even though the federal government is back to business as usual, many of the impacted families are still left wondering where they will find their next meal. Whether they are federal contract employees that are unsure if they will receive back pay, or one of the 1.8 million Supplemental Nutrition Assistance Program (SNAP) participants in Pennsylvania, charitable food organizations will likely continue to face an increased demand to help meet this need. In order to issue February benefits during the shutdown, DHS had to despense February’s SNAP benefits early on Jan. 16 and 17, rather than the typical issue date within the first ten business days of the month. March benefits will be issued from March 1-14, which forces some SNAP recipients to make the February benefit last nearly two months. DHS Secretary Teresa Miller and Department of Agriculture Deputy Secretary for Market Development Cheryl Cook urged all Pennsylvanians to continue to support their local charitable food organization as they prepare for what could be a continued and dramatic increase in need. 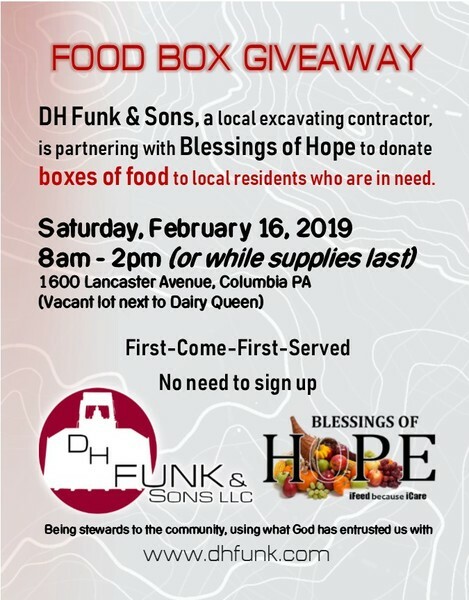 Pennsylvanians looking to help their local charitable food organizations can do so by making food and monetary donations. Additional in-person volunteer support will also be needed as charitable food organizations work to keep up with the increased pace. All products should be packaged and properly sealed in non-glass containers.